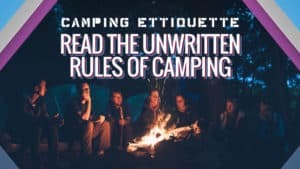 There is little greater than a camping trip with your best friends or family, and it’s these trips that require a three-man tent so that everyone is comfortable. 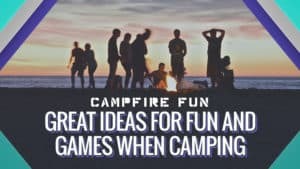 Your camping trips should be an unforgettable experience, filled with good memories and making strong bonds. 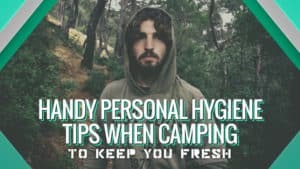 However, you need to make sure you have a good tent to keep you protected from the elements, but also to provide you with a comfortable place to sleep. 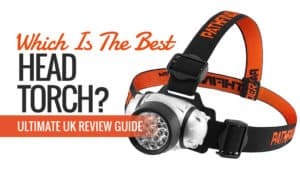 That’s why we have put this excellent guide together, revealing the best three-man tents on the market alongside the three-man tent reviews that go with them. This way, you can find the best tent for your next camping trip. Selecting the right three-man tent is not always easy. There are a wide variety of tents on the market, all of which have particular features that might make your trip more comfortable. It can be hard to choose, and that’s why we are here to help. In this section, we look at a couple of the things that can help you choose a one-man tent. The first thing you need to do is determine your budget. How much are you willing to set aside for purchasing your three-man tent? 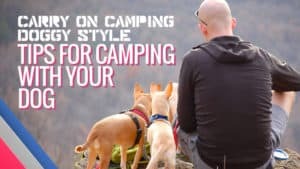 It can be quite a large deciding factor when it comes to purchasing a tent, especially as the ones that tend to have a higher price often have additional features. So definitely make sure you set yourself a reasonable budget. 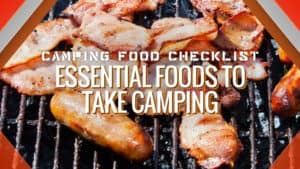 The next thing you need to do is decide which type of tent you want to use. 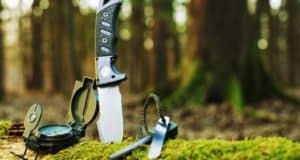 Many people are surprised to find out that there is actually quite a difference in terms of the tents that are available. For three-man tents, you will find that there are two basic types that are most commonly purchased. The first of these is the dome tent. These tend to be relatively lightweight and are incredibly easy to set up, especially if they come in pop-up form. 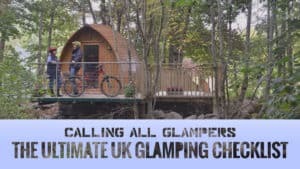 They offer a lot of headroom, which makes them perfect for sitting and chatting on cold evenings while you are camping. However, they are not suitable for extreme weather conditions such as the wind. The tunnel tent is the second most commonly purchased model for groups of three people. These tend to be very spacious, offering you a lot of room to store your belongings and supplies while you are resting. They usually come with a porch too, offering a little more protection from rainy weather. 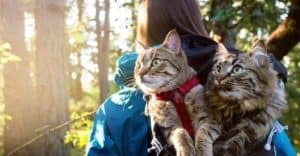 However, the extra material that is used to make them can cause them to be much heavier when you are carrying it around. Now, you need to make a decision between double skinned and single skinned tent walls. The former tends to be a lot more waterproof as well as resistant to harsh weather conditions. They are also better insulated. The latter tends to be lightweight, leaving the inside feeling spacious and more breathable. 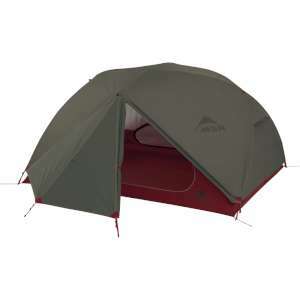 It also tends to lower the total price of the tent which can be a bonus. Always take the time to read through the reviews before you make your purchase. 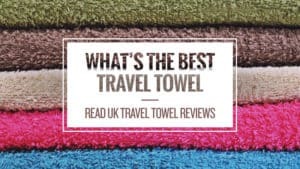 If you aren’t sure which is best, the reviews from other customers can tell you a lot about the general level of satisfaction others have felt. This can aid in your decision making and help you with a potentially tricky decision. It’s also important to remember that while the most expensive items are often more reliable, this is not always the case. 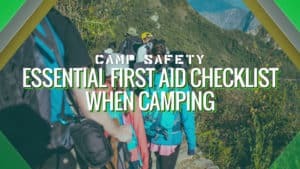 There are one or two things you might want to look out for when you go to purchase a three-man tent. One of these is whether or not the tent is waterproof. A high rating, such as 1,000mm, means that the tent has a high level of resistance to water, so you will be safe during torrential rain. Make sure you check the rating for the flysheet and groundsheet also, as these can differ. 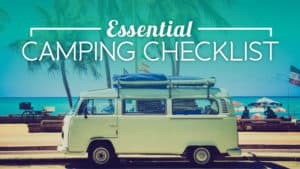 Make sure you take the size of the tent into consideration before you buy it. 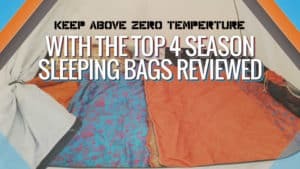 You need room to store your packs and supplies while you are sleeping, so make sure you check the dimensions before you buy. After all, you don’t want to end up with a pokey tent that you can hardly fit anything into. The groundsheet is also essential. You should always make sure it is good quality before you purchase it. 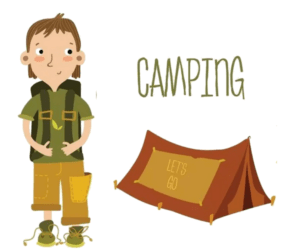 While some will be sewn into the tent, others will be separate – so make sure it is a tight and secure fit. This is because the groundsheet helps to prevent insects and other unwanted guests from entering your tent during the night. 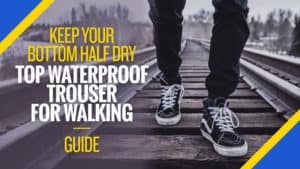 It also helps keep everything dry. 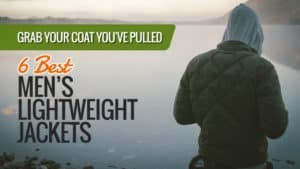 You should also be looking at double zips. These allow you to open the door from top to bottom with ease for additional ventilation. However, it also means that if one set gets stuck, then you can use the other to get in and out. There are some models that also come with mesh ventilation to prevent condensation and humidity from building up inside your tent. All that’s left is to choose the perfect tent for you. 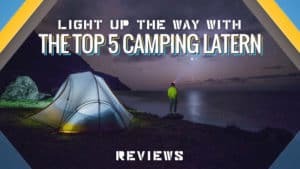 Take a look at our three-man tent reviews for some of our favourite models. 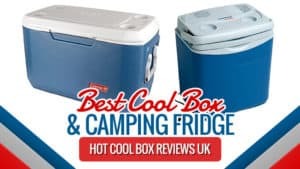 Coleman is a brand that many of us know and trust, and if you are in search of something that is really good value for money, this might be your one and only stop. 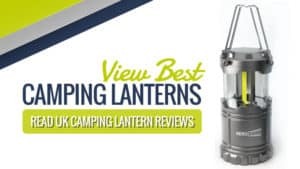 Just take a moment to read through the reviews below and see if this could be the tent for your next adventure. 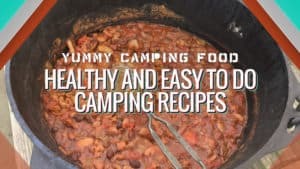 This 3-man tent comes in grey, and one of the things it has done really well provides an excellent amount of headroom for you when chilling out or eating. 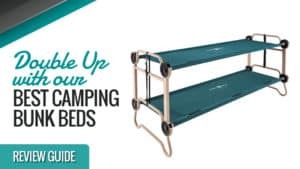 It gives you more space to move and breathe, ensuring that there isn’t a claustrophobic feel to your camping experience. The bedroom and living room are also separated for privacy, and also so that you can keep your gear stowed away. 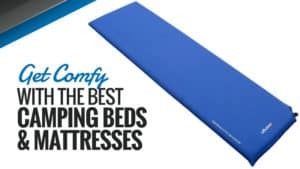 There is a groundsheet for the bedroom and the living room, the latter of which is extra thick to withstand rough use. This prevents damp and insects from entering the tent at night – plus, the whole thing is waterproof to withstand English weather. It is also breathable, and has internal pockets for storage. There are also two doors, as well as tinted windows for privacy at all hours. 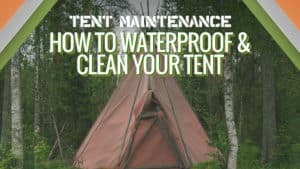 The tent fabric can tend to hold more water than expected, making it messy to pack, and the zips do sometimes allow water to leak into the porch. 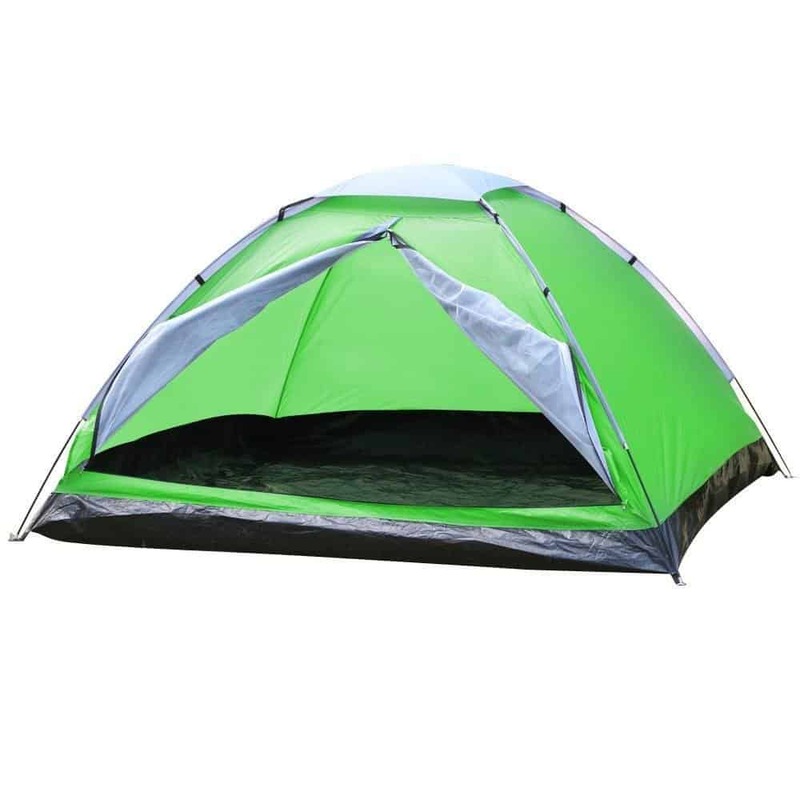 This tent comes at a very affordable price, and so it won’t break the bank to pick this tent up. It has loads of great features as well, including a porch and quick pitching to save you time. While the material does seem to hold a lot of water, and the front zips sometimes leak into the porch, it is still a very waterproof tent that will protect you from the elements. Additionally, it offers you a lot of space to chill out inside, and there is excellent headroom so that you can hang out without the need to keep ducking down. Brilliant product that comes at an excellent price. 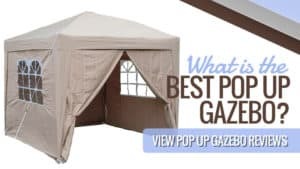 Q: Does the tent come with the porch poles included? If not, has anyone bought them separately? Couldn't see any on the Coleman website. Q: Is the inner door to the sleeping area just a mesh? 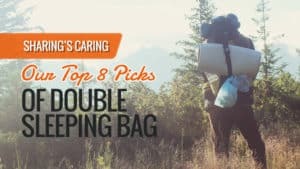 A lightweight tent can save you a lot of pain and hassle, especially if you need to pack it up and take it with you on a hike. MSR produce fantastic quality tents, and this one shouldn’t cause much strain to carry with you. 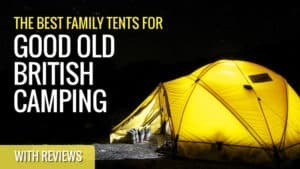 If you’re feeling curious, take a moment to read the reviews for this tent below. 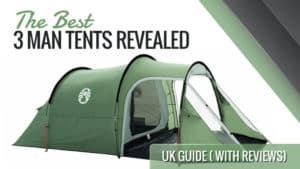 This lightweight tent comes in grey or green, and it has been redesigned and updated for 2018, ensuring that it is able to fulfil all of your needs when camping. The poles are made from aluminium, which helps to keep the tent very light, but also ensures that it is strong and stable in the wind and rain – so there is no compromise. Plus, it sleeps three people and their gear very comfortably. The whole thing is waterproof, with an excellent groundsheet provided to keep the floor dry and prevent insects getting in. 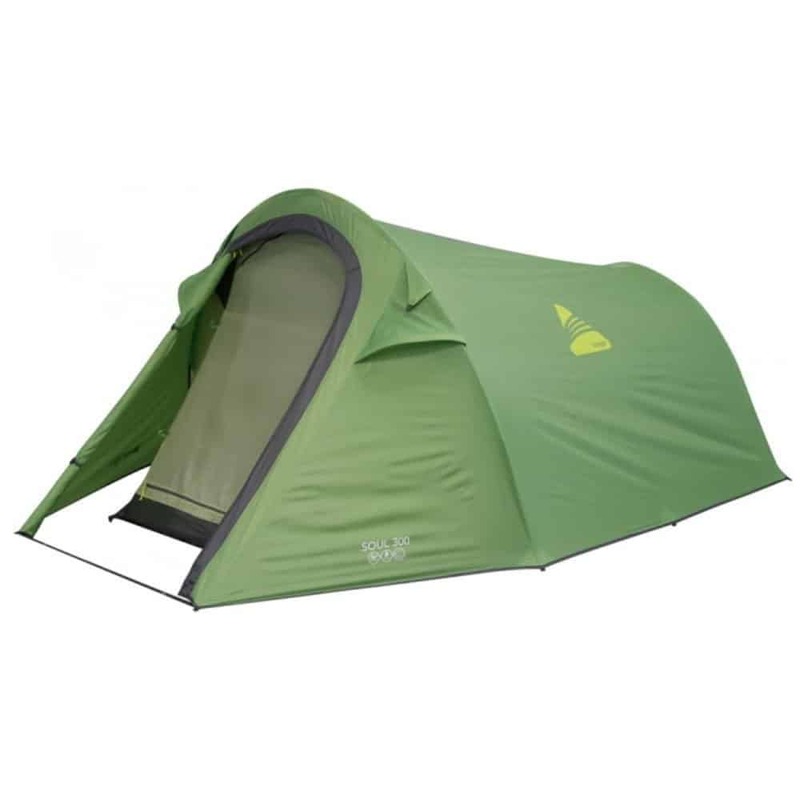 The two doors are also fully waterproof, and the entire tent is really quick and easy to pitch. The gear lofts keep everything out of the way and safe, while the tent itself remains nice and breathable to prevent condensation. It’s also really easy to pack away afterwards. A couple of customers had found that they are two or three pegs short when they received the tent. 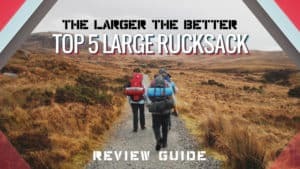 This tent comes at a pretty reasonable price, and is nice and lightweight-which makes it ideal for backpacking and other similar trips with friends or family. 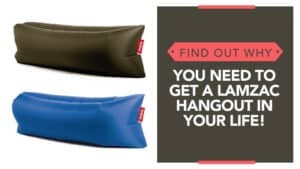 While a couple of customers found that they were a few pegs short upon receiving the tent, it was quickly resolved with customer services, and they got all the pegs they need. 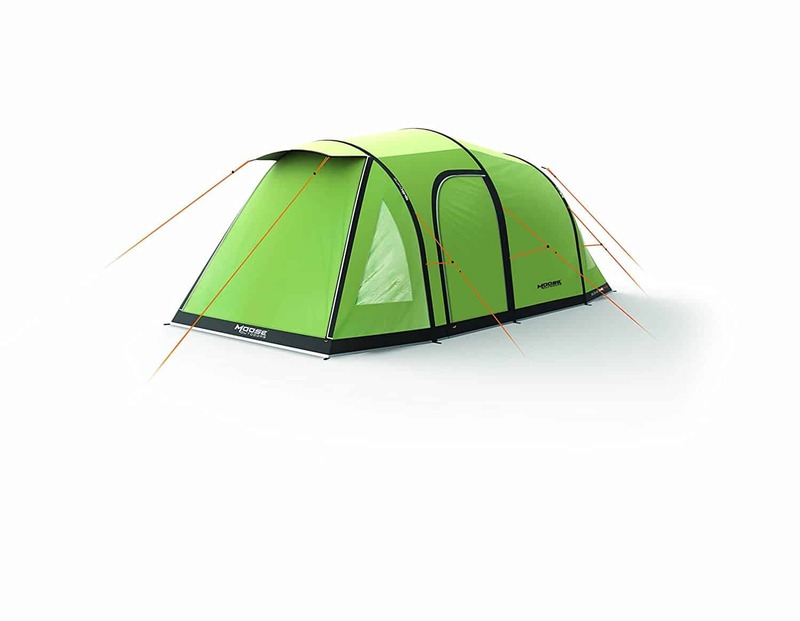 The tent itself is easy and quick to pitch, and it offers the perfect level of protection against the British elements. With spacious living and genius storage solutions, you are in for a compact yet enjoyable sleep in this excellent tent. Vango is a fantastic brand to go for, and tunnel tents are some of the best around – providing you with space and comfort when you are on your outdoor adventures. 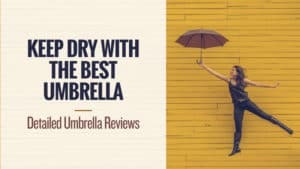 With such a reliable name, it is a wise choice to make, and the reviews below might just answer a few of your most pressing queries. This brilliant tunnel tent comes with a spacious bedroom and living area, providing privacy as well as an area where you can hang out and store your gear when you are not out exploring. There are two doors, one on each side of the tent for easy access, as well as inner doors to keep the cold out and add to your overall privacy. The front porch is also perfect for placing your shoes after hiking trips. 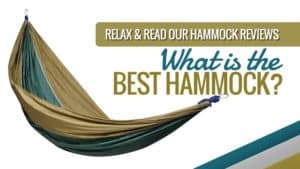 The tent itself is lightweight and relatively easy to pitch, with gothic arch poles that are used to increase the stability of the tent and the longevity of the poles by reducing the amount of stress on them. 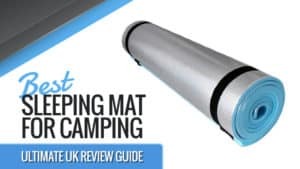 The groundsheet is lightweight and helps to prevent water and insects from entering your tent at night, and the material the tent is made from is breathable to avoid indoor condensation. There have been no negative reviews for this model of tunnel tent so far. 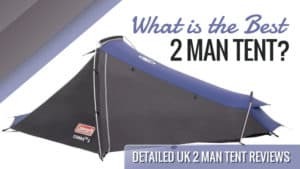 This tent comes at a very reasonable and affordable price, especially considering the size and the fact that it is able to fit three people and their gear very comfortably. 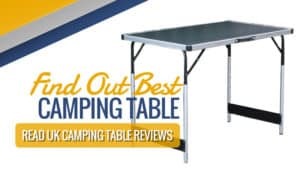 With no negative reviews online so far, there isn’t much against this tent, and it is sure to serve you well on your next camping trip. Some of the best features include the gothic arch poles and the spacious living and sleeping quarters which are sure to give you all a restful night of sleep. As an added bonus, the whole thing is wonderfully light as well. 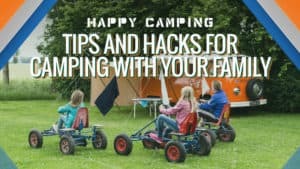 The most frustrating thing about camping is arriving at the site and having to spend hours pitching your tent and getting everything together. To avoid the hassle, you need a quick pitch model, and Qeedo can provide you with just that. Just look below, and you will see how great this tent is. 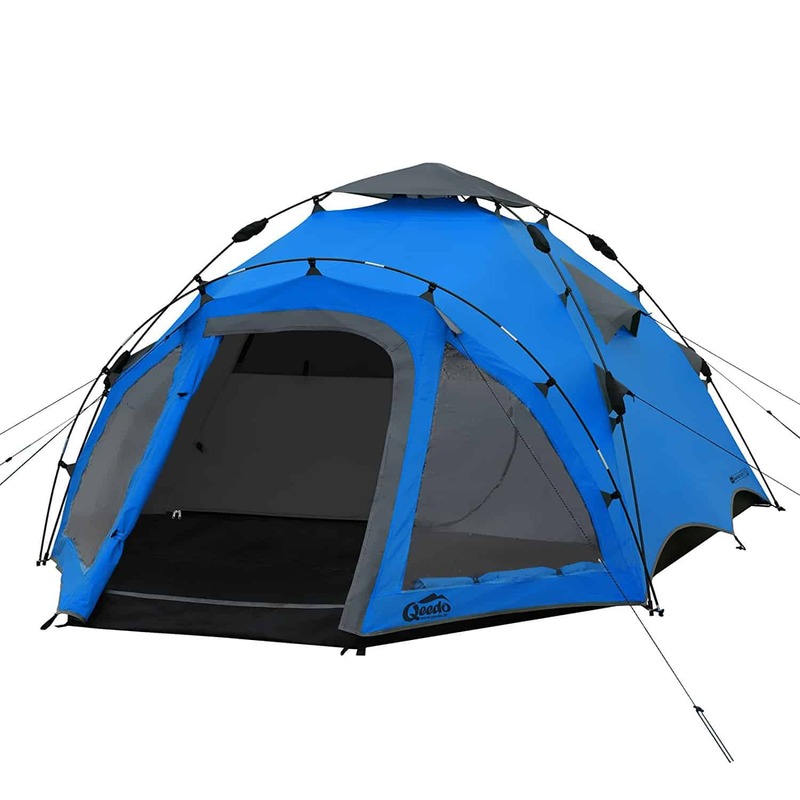 This dome tent comes in a great and vibrant shade of blue for a little fun on all of your adventures. It has two doors for you to choose from, allowing you to make a choice based on wind direction and other weather conditions. The living area is very spacious, and the sleeping cabin also offers a comfortable amount of room for you all to sleep in, making it ideal for people and their gear. The doors have mosquito nets to keep the bugs out, and the floor has a groundsheet to keep the damp and other creepy crawlies away from you. The seams are sealed, adding to how waterproof the tent is, and it can withstand even the worst of the weather in the UK. Plus, there is loads of ventilation to keep condensation away, and pitching only takes 60 seconds to complete. There have been no negative reviews for this model of quick pitch dome tent so far. This tent is easy to pitch, and it only takes 60 seconds before it is ready for you to stow away your gear and settle in. 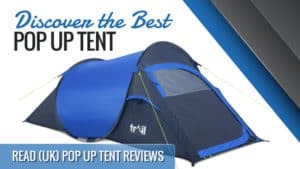 Additionally, there have been no negative reviews yet for this tent (aside from one faulty model), which means it is certainly a contender for one of the best models on the market. The headroom and overall space are excellent, to the point that you could likely fit four people in there without it becoming cramped. 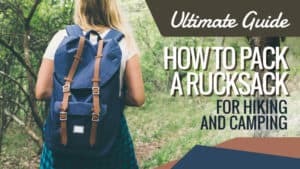 There is enough room for you to store all your gear, and it will ensure that you are protected from the elements for the duration of your trip. Festivals are great fun, but they can also turn into pretty muddy and crazy events, so you need a place where you can sleep at night but also remain under cover just in case the sky opens up and decides to rain down on you. This is our top pick for festival tents, so take a look at the reviews. 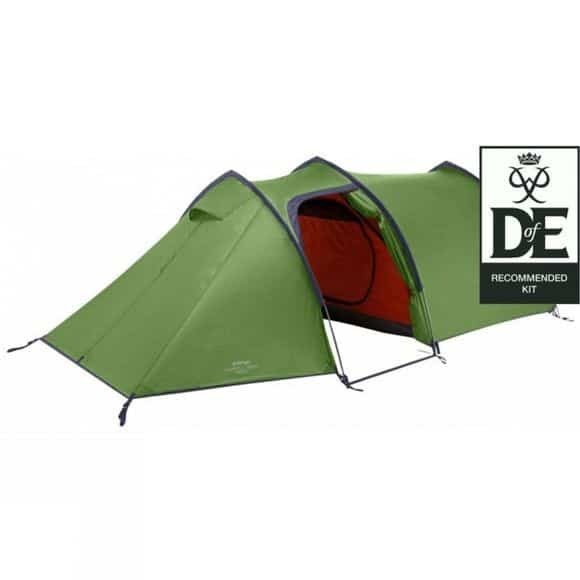 This festival tent comes in a brilliant shade of green that is sure to help you stand out from the crowd – and also ensure that you don’t lose your tent. 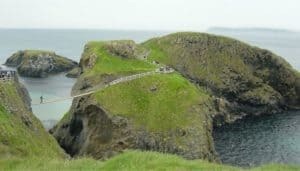 It is incredibly spacious, even though there is no separate sleeping area, and there is more than enough room for up to four people and their luggage to rest and hang out. Plus, the headroom is decent to avoid the need to bend over. 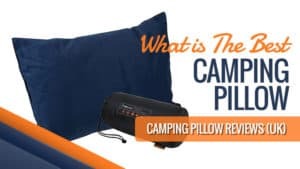 The tent itself is waterproof, and the groundsheet works to keep both damp and insects out of your tent during the day and when you are asleep. The poles are made from fibreglass, providing a firm and sturdy frame for the tent so that you don’t need to worry about it blowing over. Setting it up is also really easy, and you will find that the pitching process only takes a few minutes to complete. The straps used to hold the roof cover can be a little short to get the job done. This tent is incredibly cheap, coming at a budget price that anyone can afford – making it ideal for the festival scene. 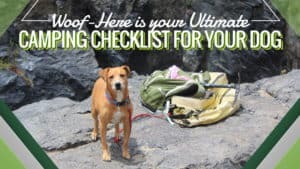 While the roof straps can be a little short, some rope should get the job done without any issue to make things easier for you. 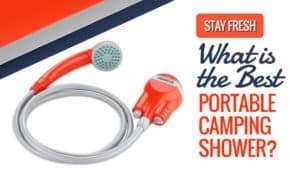 The whole thing is waterproof, and the tent itself is really quick to pitch so you won’t have to worry about being stood around trying to figure it out. 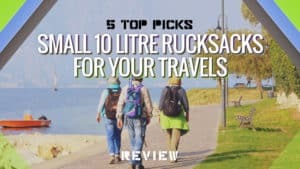 Lightweight and surprisingly resilient, it certainly makes for one of the best options out there, especially if you are looking to save some cash. 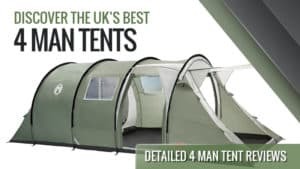 Here are some other models of 3-man tents for you to look at, in case any of the ones above did not quite meet your requirements. 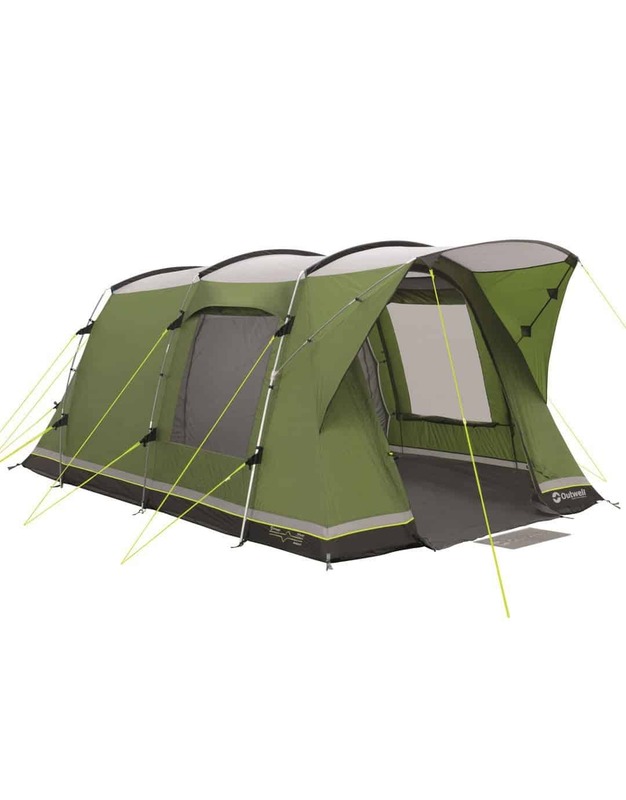 This tent has been designed to fit three people and their gear comfortably, ensuring a sleep that is both spacious and enjoyable. 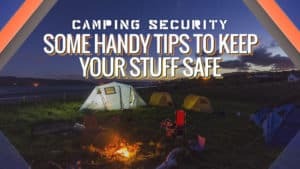 There is a groundsheet included to prevent bugs, damp, and other unwanted guests from entering your tent in the middle of the night. Plus, the weather cover provides extra protection from heavy rain, ensuring that you stay nice and dry. There are a number of storage compartments throughout the tent, as well as an emergency pouch. 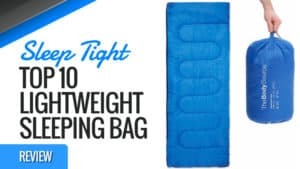 The air pump is included to inflate the tent, and it only takes three minutes to get up – taking all the hassle out. This tunnel tent comes from leading brand Outwell, and it has been split into two sections so that you can benefit from a large bedroom for sleeping, as well as a good size lining room for your gear and hiding from the rain. It is the perfect size for three people, and the large windows have been tinted so that you can still benefit from natural light while also ensuring complete privacy. The groundsheet prevents damp and insects from entering your tent, and the whole thing is waterproof to keep your dry in classic British weather. There is even a little doormat so that you can wipe your feet before you enter. 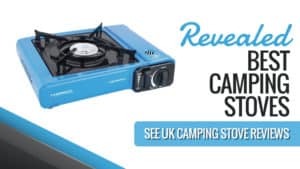 Vango is another big brand, and it comes at a very affordable price so that you don’t have to spend a fortune on a tent for you and your friends/family to share when you are on your next camping trip. The polyester flysheet is massively waterproof, protecting you from the rain and bad weather, as well as adding durability and reliability to the fabric that the tent itself is made from. 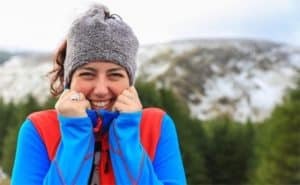 It has a good amount of space for three people to fit inside, and it is also breathable to prevent the air inside from becoming hot and sticky, as well as to stop condensation. There are even points for you to hang lanterns when the night falls, and you want to stay up a little late. 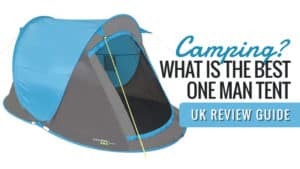 In this guide, we have taken a look at some of the best three-man tents on the market, all of which are sure to suit your camping requirements. 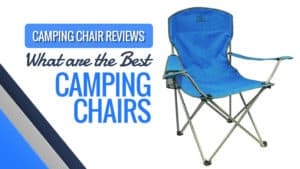 Whether you are looking for something lightweight and easy to assemble, or a model that allows you enough space to sit and chat in the evenings, there is something here that will match your requirements. We also have tents to suit a wide range of budgets here, so you won’t have a problem finding one that fits your price range. Hopefully, one of these will be the right choice for you. What did you think of our three-man tent selection? Are there any you would have added? We love hearing from you, so feel free to leave a message in the comments below.